U.S. Representative Paul Ryan (R-Janesville) swept to re-election for an eighth term last November while losing the Vice Presidency, including in Wisconsin. But he raised more campaign money than any other candidate for the U.S. House in Wisconsin history in defeating Democrat Rob Zerban by a 55% to 43% margin. It was Ryan’s smallest margin of victory since his initial election to Congress in 1998. Ryan raised $4,994,668 over 2011-12 and Zerban pulled in $2,263,956. Their combined total of $7,258,624 in the First Congressional District is the most total candidate campaign cash raised in Wisconsin’s history, eclipsing the previous record of $6,052,405 in combined candidate fundraising set in 2006 when Democrat Steve Kagen defeated Republican John Gard for an open seat in the Eighth Congressional District. The second highest combined candidate fundraising total ($3,917,371) in 2012 occurred in the Seventh Congressional District where Republican incumbent, U.S. Representative Sean Duffy of Ashland, held off Democratic challenger, former State Senator Pat Kreitlow of Chippewa Falls. Duffy raised $2,635,819 and Kreitlow not quite half that amount - $1,281,552. The Duffy-Kreitlow contest was overall, the most expensive U.S. House race in Wisconsin’s history with millions of dollars of spending by outside special interest groups in addition to the candidate spending. But in terms of candidate fundraising, this match-up lagged far behind the Ryan-Zerban contest. In every Wisconsin U.S. House election (excluding the open election in the Second Congressional District), the incumbent raised significantly more money than his or her challenger and emerged victorious in every case. As the contribution figures* clearly indicate, incumbents have a distinct advantage over their challengers. “Money flows to power” is almost always the rule rather than the exception when it comes to candidate fundraising in federal elections. According to this authoritative study, as many as 98% of incumbent US House members win re-election when they raise more money than their challengers. 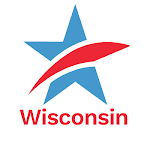 *The contribution figures detail both the combined spending for all eight Wisconsin U.S House elections in 2012 as well as the breakdown of the contributions (individual and political action committee) to each candidate. Paul Ryan Sets Record for Most Campaign Cash Raised in a Wisconsin U.S. House ElectionTweet this!